The hikes are generally from 2 to 5 miles and range from easy to strenuous. The early season and late seaon hikes leave from the IBM Yorktown parking lot at the Aisle 16 entrance. All other hikes leave from the James Street Parking Garage [GPS 41.290883,-73.917712] in Peekskill promptly at 6 pm. Most of the hikes are in Harriman, Fahnestock or Hudson Highlands State Parks. The hikes are timed to finish before dark. Many of the group eat pizza at a nearby restaurant (usually Little Sorrento) afterward. For more information contact Walt Daniels, 914-245-1250 or the hike leader of the week. Most of the hikes are rated as to difficulty based on the following rough guidelines. EASY - under 3 miles and less than 400 ft of elevation gain. WARNING: Much of our hiking area has problems with deer ticks and the possibility of contracting Lyme Disease. There are reasonable precautions that you can take to lessen the risk: wear long pants tucked into your socks, use insect repellent containing DEET, take a shower soon after hiking and examine your body for ticks. The problems are no worse than spending an equivalent amount of time in your own back yard where you should take the same precautions. The hike leader always shows up at the appointed time and place -- regardless of weather conditions. At that time the decision is made, depending on how many people want to brave the weather and how bad it is. For example, if there is lightning and the planned route goes to a high point, the hike may be cancelled or the group may go somewhere else. Leave the IBM site via the front entrance. Turn right (northbound) on Route 9A and go 1.2 miles to Route 9. Merge onto Route 9 and continue north 8.7 miles to Peekskill. Take the Route 6 (Main Street) exit. Turn left at the end of the ramp and go straight through about 4 traffic lights. After the main intersection in the center of town, at Division Street, go straight 1.5 more blocks. Total distance from Route 9 is about 0.5 miles. When you get to a park on your left and "Peekskill Paint and Hardware" on the right, turn right into a parking lot that leads to the parking garage. Park anywhere in the garage. There is no parking fee at 6pm. If you get to a 5th traffic light at James Street, turn right and then immediately right into the garage. Drive around to the bottom floor of the garage to find the other hikers. Share discussion about and photos of the hikes via the Tuesday Night Hikes group on Facebook. This mailing list will announce changes to the posted hiking schedule. It may also be used by anybody to post messages for the whole list. Annoucements may be about trips you are planning and welcome company, hiking/camping gear for sale, etc. To send mail to everyone on the list, send mail to: tuesdaynighthikes@googlegroups.com. The list is run by Google Groups; you can subscribe change your subscriptions at groups.google.com/group/tuesdaynighthikes/subscribe. To see the archive of past email to the list visit groups.google.com/group/tuesdaynighthikes/topics. 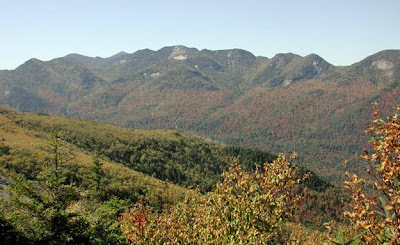 The Fall Colors trip is an annual camping and hiking trip to the Adirondacks. We will drive up to the Adirondacks, on Friday October 4, stay (tent, lean-to, or nearby hotel) overnight on Friday and Saturday nights, and return on Sunday October 6. We hike all day Saturday, Sunday, and part of Monday in the high peaks of NY State. Saturday night, we have a delicious group dinner, organized by Jane Daniels, at minimal cost. There is room for 6 people in the lean-to and 6 people at each campsite.The Adirondack Loj and numerous motels in the Lake Placid area offer alternative lodging options if you don't want to camp. To sign up for the Fall Colors trip, send an email by mid-September to Jane, indicating the number of people who are coming, whether they are staying in tents or the lean-to (if there's room left), or are just registering for the group dinner. Trail building/maintenance trips - most weekends starting in Mid April - Contact Walt Daniels, 914-245-1250. Hiking information in the area: New York-New Jersey Trail Conference. They know about other hiking clubs, publish maps and guidebooks, and build and maintain trails. Occasionally all day hikes or other events are planned. They are inserted into the schedule. Every year there is a Fall Colors Trip to the High Peaks Region of the Adirondacks, generally the last weekend in September or the first or second weekend in October.